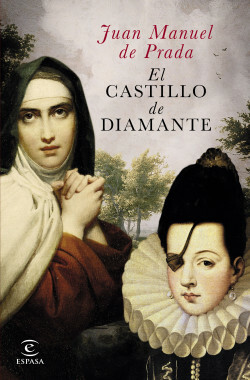 This novel portrays the relationship between Santa Teresa de Jesús and Ana de Mendoza, the Princess of Éboli. At the end of the Seventeenth Century, a power rivalry commenced between the two women from which only one could come out the victor. When the Saint decides to found convents in her own order, the Princess of Éboli summons her to her lands in Pastrana to build a church there. However, Santa Teresa refused the request. The conflicts between the two soon began to multiply, culminating in the moment when the princess steals Santa Teresa’s Book of Life and threatens to make it public. Two powerful women who defined a period in Spanish history.